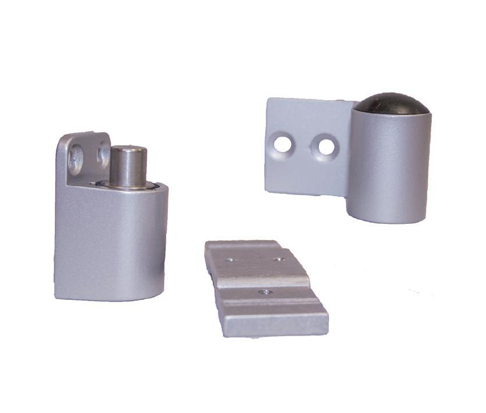 TH1120 Offset Pivots are used for both flush face frame installation and 1/8“ recessed door applications. 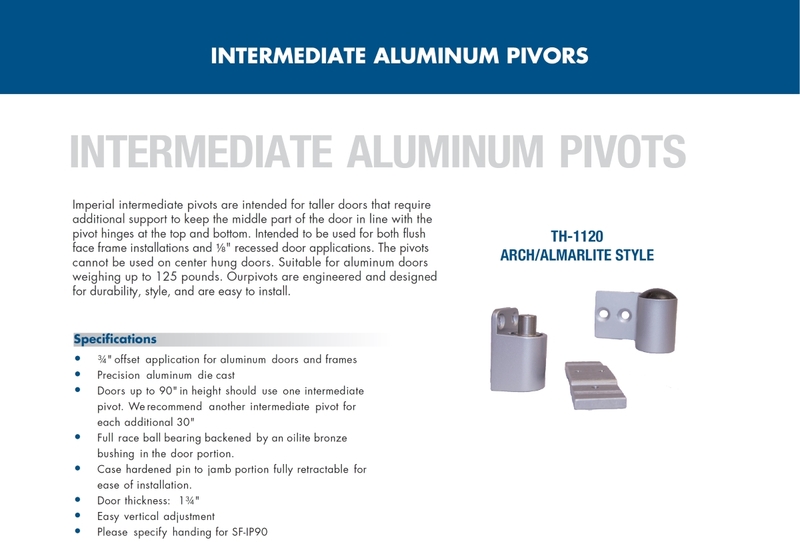 Pivots replace most major door manufactures. Suitable for aluminum doors weighing up to 125 pounds. These pivots are engineered and designed for durability, style and are easy to install.